Enjoyable and cool, yet durable enough to make it through the dishwasher, this Elephant double sided coffee mug is sure to come to be your favorite cup in no time at all! Unearthing a fantastic gift for a co-worker can most certainly be a problem! You want to find a present that is playful but you also really want it to be high quality. 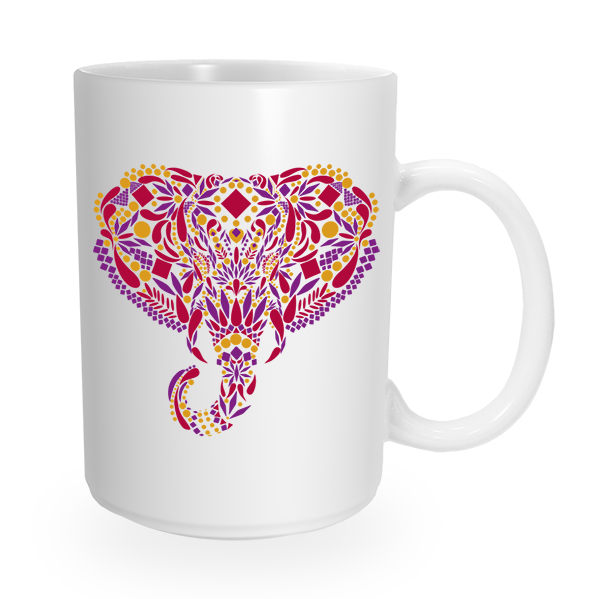 This Elephant double-sided coffee mug will do the trick and will do for any occasion! Nothing demonstrates that you care more, than a steaming cup of hot chocolate in an awesome coffee mug. All our coffee mugs are microwave safe making sure of that they will survive for decades to come! Not looking for a present? Get one for yourself! Show your individuality and show off your sense of humor with a new coffee mug. Dazzle and amuse everyone at the office when you walk into the break room with your new mug. But we warn you, be ready for a bit of intense coffee cup envy!